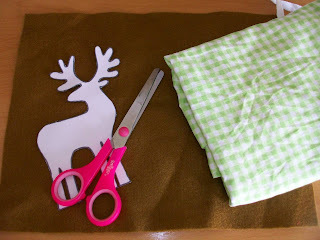 day 172 and we are back to my tribute to the reindeer of christmas today :) we are making a pillow for pollyanna's room (again!) using this awesome tutorial from just crafty enough. the bonus with this tutorial is it also comes with the pattern to print out for the reindeer, VERY helpful! i absolutely love the simplicity of the one they made and think i will make some more for the lounge in the future. i am using a green gingham for pollyanna's one as it is one of the foundation fabrics in her room. 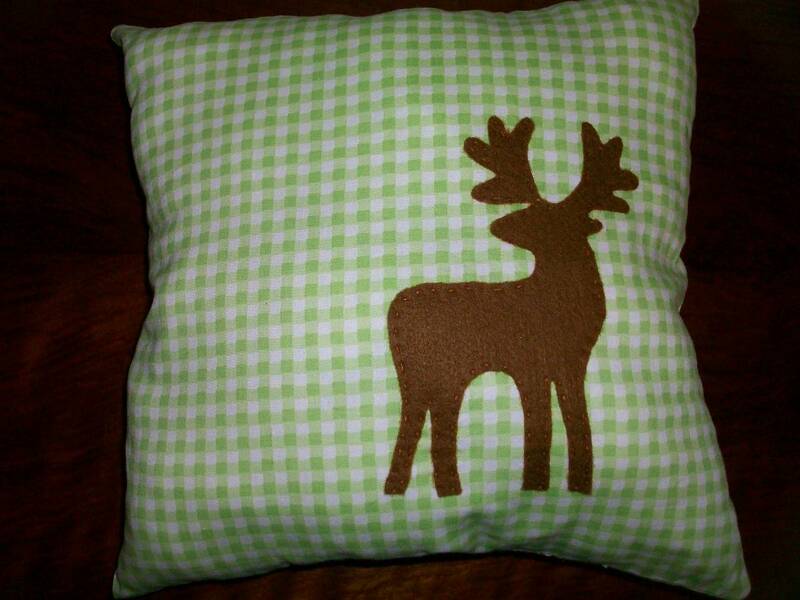 i used a brown felt and cut the reindeer out then lightly glued it in place before HAND stitching around the design. i don't hand stitch often, it's not my favourite thing to do. something about time and hand stitching and patience seems to be the issue here, but as it was for a reindeer i made an exception. 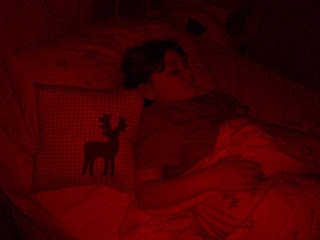 then you make the pillow according to the tutorial. 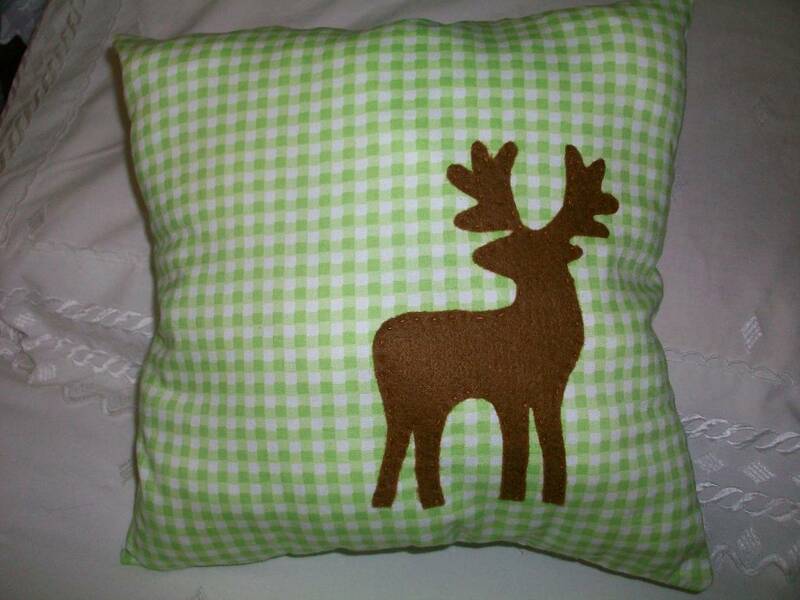 my pillow insert was much smaller than theirs so the reindeer is a little smaller as well to fit the design. my sincere thanks to just crafty enough for their crafting, which is surely more than enough with beautiful designs like this one. definitely worth checking their website out, look at the amazing inspiration on their projects page.